Photograph provided by Jan Jennings. 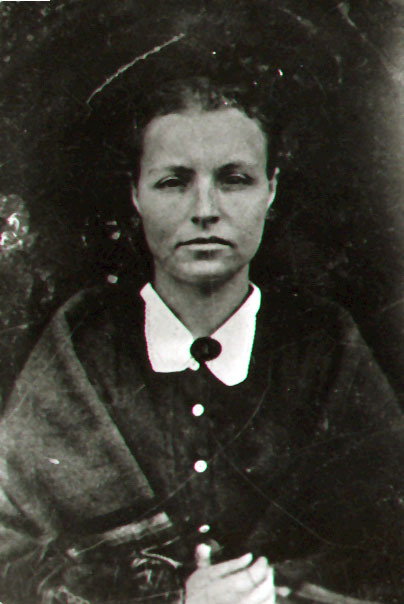 Lucinda Fannie Curry was the wife of John B. Jennings. Photograph was taken on or before 1875. It is interesting how family resemblances might skip generations. The first thing my mother said when she saw this photo is that it looked like her first cousin Connie Luene. Both my mother and Connie Lu would be this woman’s great-great-grandchildren.